Tree Cutting Bronx: At Able Tree Care, the #1 Bronx tree cutting company, we understand that property owners in the Bronx need to keep their trees healthy, and tree cutting and tree trimming is one of the most important factors to keeping them in great shape. Understanding which tree limb to cut, which tree branches to trim, and how to spot rot and decay is what separates a guy with a chainsaw and a real local tree company. Hiring the right tree company can make the difference to keep your trees strong and looking at their best! Our Bronx tree cutting experts have been doing this for over 30 years. Our experience and love for what we do will demonstrate that you hired the right team from the moment we step foot on your property. Sometimes when a property owner calls our tree experts thinking they are in need of tree cutting services all they really needed is a bit of tree trimming. Sometimes the tree is in far worst condition, is in danger of falling, and tree removal services is needed immediately. 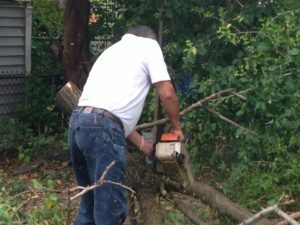 We will quickly determine the tree service you need and let you know what needs to be done. Then we will quickly do it and restore your property to a safe sound environment. Many property owners are reluctant to call a tree company when they are in need of tree care, or other types of tree service because they believe that the cost of cutting, trimming, or removing a tree from their property will be too much. At Able Tree Care we pride ourselves in providing our customers not only friendly, but affordable tree services. When you have a company like ours serving the Bronx you will never have to hesitate taking care of the needs of your trees. Safety always comes first with our company, and right up there it is our mission to always provide friendly, affordable tree service to every customer we serve. When searching for local Bronx tree companies you will find that Able Tree Care out ranks them all! When you’re in need of tree care, tree removal, or emergency tree services Able Tree Care will be ready in a moments notice. We are the #1 tree cutting Bronx tree service company!